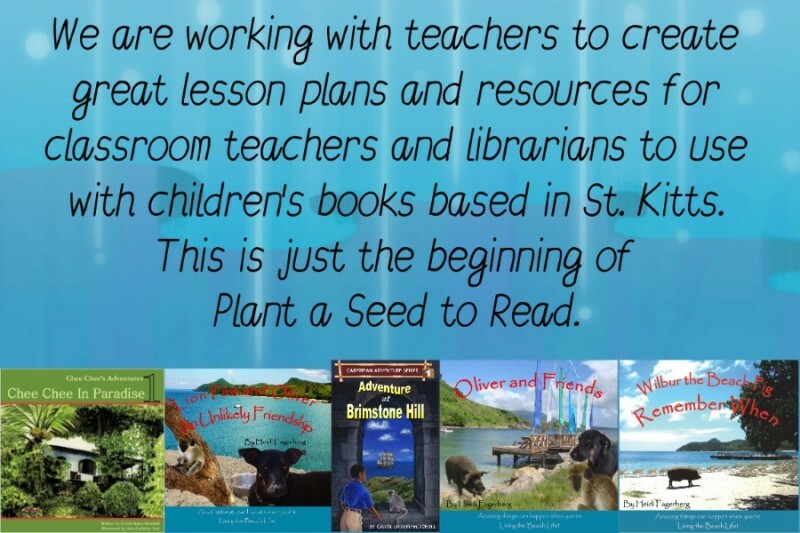 Plant a Seed to Read-Integrating local content into elementary schools in St. Kitts and Nevis. My name is Heidi. I currently reside on the island of St Kitts in the Federation of St Kitts and Nevis. While living here I met a woman who worked with me to publish the Living the Beach Life Series. 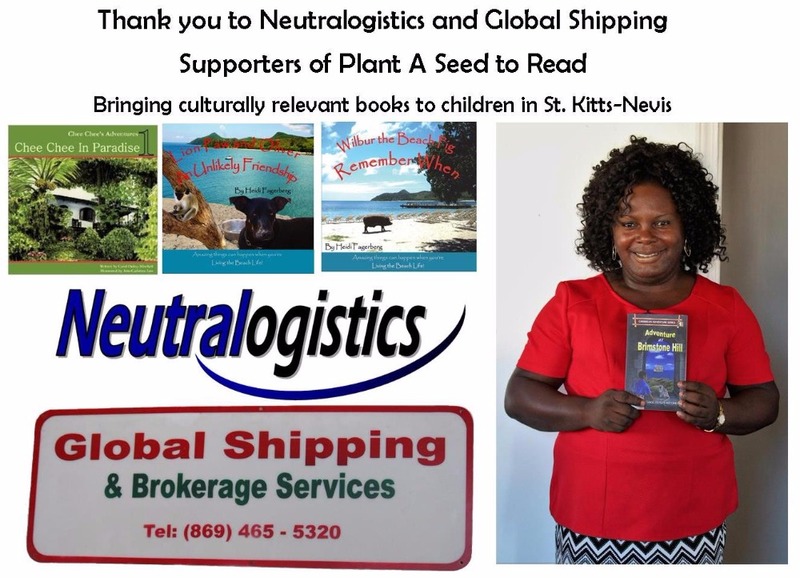 My main goal of the series was to bring contextualized reading to young children on St Kitts and Nevis. This is also the goal of CaribbeanReads Publishing, my publisher and so, together, we are working to bring more books with Caribbean content to Caribbean children. We can all agree that reading is one of the cornerstones of a child’s development. What is not so widely recognised is the importance of localised content. Children need to see themselves reflected in at least some of the books that they read. As put so eloquently by Rudine Sims Bishop of the Ohio State University, “Books serve as a window to another world, but also as a mirror, an example of how the reader should interact in the world. When children cannot find themselves and their culture reflected in the books they read, or when the images they see are distorted or negative, they learn an unfortunate lesson about how they are devalued in the society of which they are a part." My stories and others published by CaribbeanReads are written about characters and places the children of the Federation know and relate to. We have reached many children already through readings at libraries and in schools. The children's excitement and curiosity were astounding yet heartbreaking since they love, but often cannot afford, the books. If we could, we would put a book into every child's hand, but we cannot. Not on our own. We need your help to bring these books into each and every school in the Federation. Note that our plan is not just to deliver books to the schools and walk away. We are working with the Curriculum Development Unit and we will also provide lesson plans and curriculum to go with the books to ensure that the full benefit is derived from this contribution. The books are already published. We already have most of our lesson plans completed. Now we need your help to finish the process. 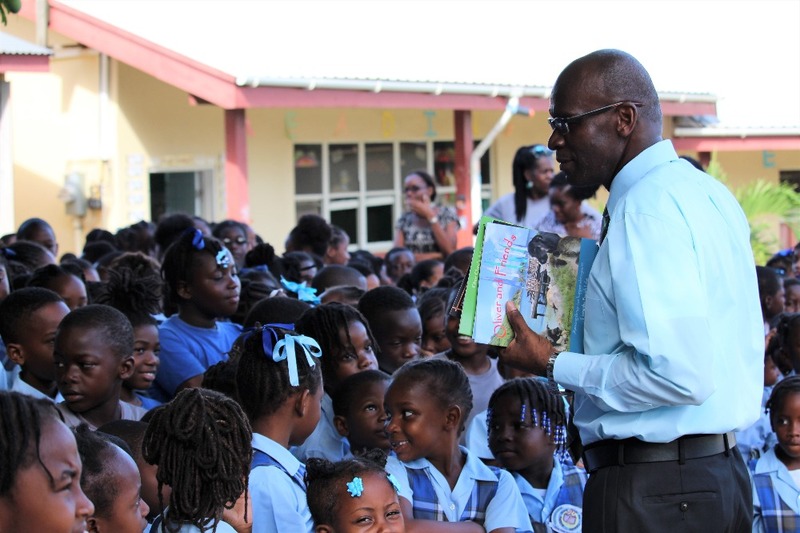 Our goal is to distribute 1000 copies of eleven of our books to all the schools in St Kitts and Nevis inclusive of lesson plans and reading guides. We can do this for US$35,000 per year. We are very excited to be moving forward with our next step. Tomorrow we will be delivering books to Sandy Point Primary School. Each child from Grade K-6 will receive a book of their own that will be used throughout the school year in their classrooms and at home. We will be providing a professional development session tomorrow as well with our draft curriculum guides corresponding to the books that are predominantly language arts based, but have included ideas for across the curriculum initiatives based on St Kitts and Nevis curriculum. We will be doing a one and half hour training session and hand out printed copies of our first draft guides for input and revision according to feedback . If you would like to help towards furthering the project need funds for administrative printing costs, writing of guides and expansion of books distribution. We have come so far and we could not have done it without our donors and support from the MOE and the OECS of our books and our burgeoning teacher guides. We had a great visit at Sandy Point Primary this week. We delivered teacher copies and library copies of the books for the beginning stages of our second pilot. We hope to raise the remaining funds for this pilot over the summer. Our professional development programming with Sandy Point Primary will begin in early September. Thank you to Global Shipping and Neutralogistics who organised the shipment, clearing, and delivery of the books for Beach Allen Primary School. They went above and beyond expectations by covering even the customs service charge on the books. We are so grateful! A special thank you to Janice Brookes who coordinated it all. Great news! 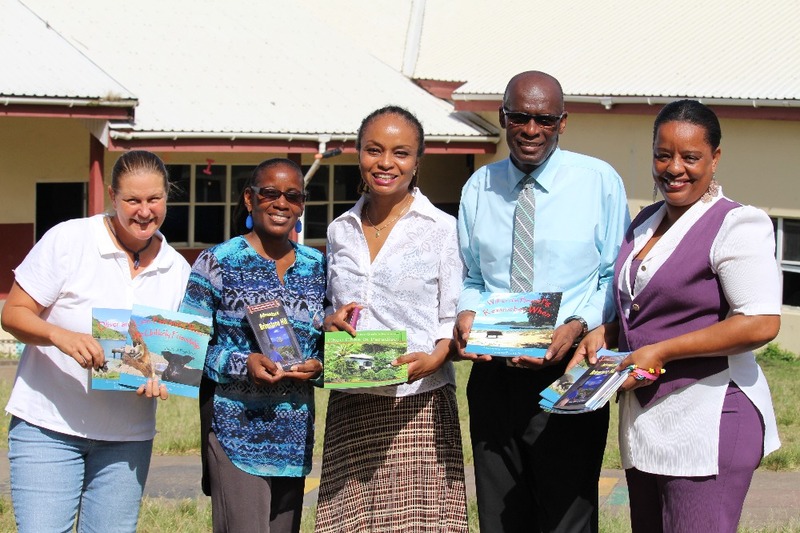 The Sandy Point Benevolent Society has pledged to support the Plant a Seed to Read project in Sandy Point primary school. With that money plus the money generously donated by our supporters we are half way towards our goal of implementing the project in Sandy Point as well as at Beach Allen Primary School. #Grateful. 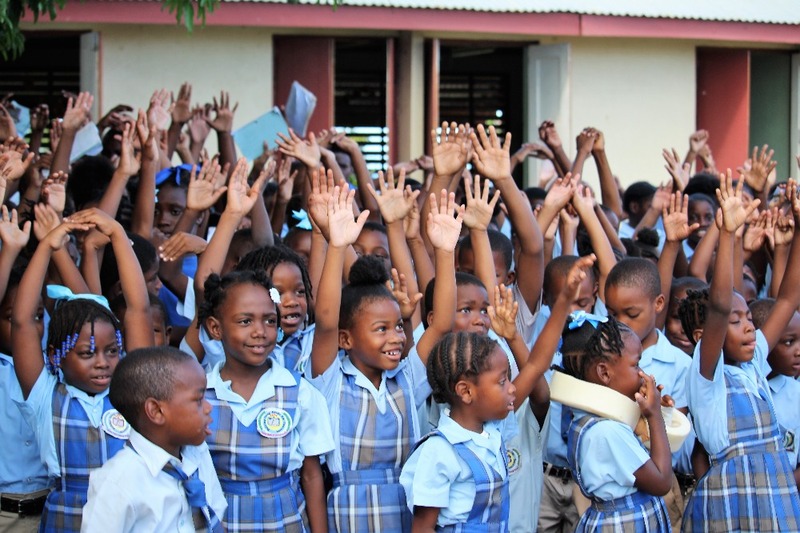 Sandy Point Benevolent Society Their Motto: Empowerment through Education "We give back so others can move forward" Their Mission: To Strengthen our Hometown Sandy Point Community via Support for Educational Institutions & Positive Youth Activities. Thanks to Sandy Point Benevolent Society Sandy Point Primary will be our second pilot program for Plant a Seed to Read. Great initiative!! Your project to encourage our children to read Caribbean books is worthy of commendation. Best wishes! Best of luck with the Young Reader Caribbean Connection. These books are great and will inspire lots of young local readers!